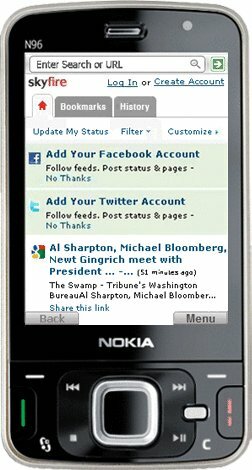 Skyfire Mobile Phone Browser (Nokia Symbian) - Skyfire is a free, downloadable mobile browser that gives you a web browsing experience exactly like PC browsing. For the first time ever, on your phone, you can watch any video, connect with friends, listen to music, shop, and browse the web using the full-featured PC versions of your favorite websites. 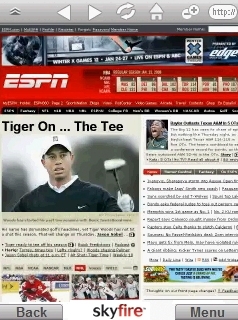 With Skyfire, mobile browsing just works -- speedy page loads, full video, images and audio. 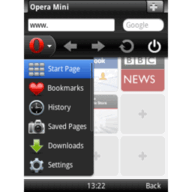 Skyfire is a free, downloadable mobile browser that gives you a Web browsing experience exactly like PC browsing. For the first time ever, on your phone, you can watch any video, connect with friends, listen to music, shop, and browse the web using the full-featured PC versions of your favorite websites. 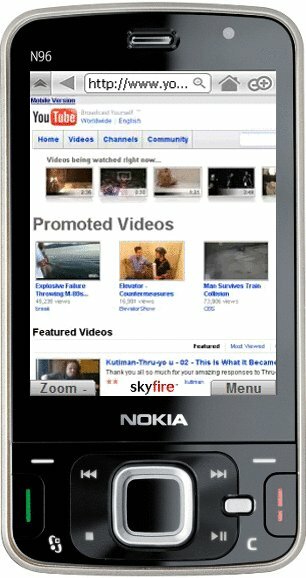 With Skyfire, mobile browsing just works - speedy page loads, full video, images and audio. 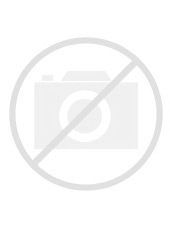 Watch any video: Hulu, any web video - you name it - it's playing on Skyfire. Skyfire is the only mobile browser that supports full Flash and Windows Media videos, including Flash 10 and Silverlight 2.0. Share instantly: Easily share what you find on the web or what you are up to. Post web pages and status updates to Facebook and Twitter, with one click! Blazing fast: Skyfire fires up fast and web pages load quickly. 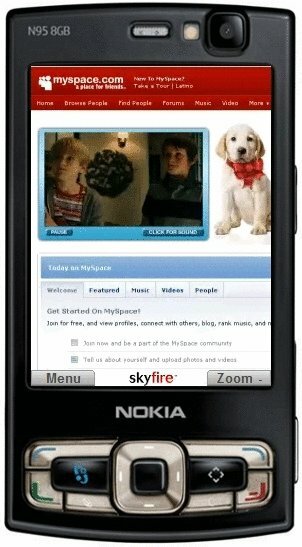 Skyfire runs on Windows Mobile and Nokia/Symbian phones.